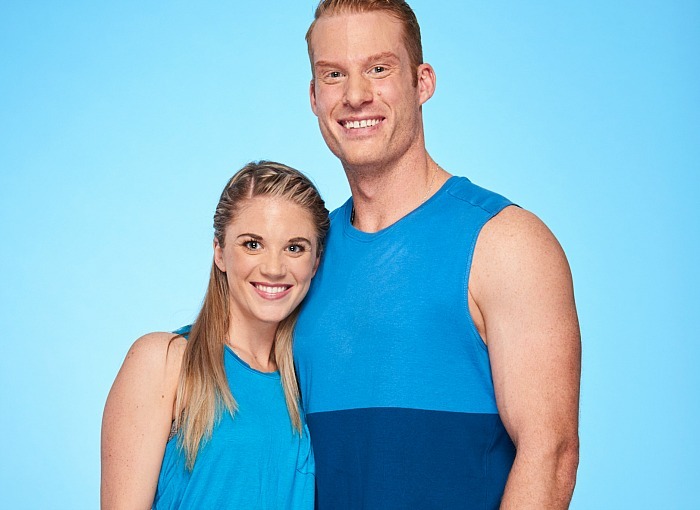 The Amazing Race Canada: Heroes Edition — Meet Chewy & Happy, Courtney & Adam and Dylan & Kwame | TV, eh? The Amazing Race‘s 10 teams have finally been revealed and we couldn’t be more excited. Not only is this season of the Race—returning Tuesday, July 3, at 8 p.m. ET/9 p.m. MT on CTV—being dubbed Heroes Edition because of the inspirational folks involved, but we actually got a chance to meet the teams before they began the Race. Not only that, but we were among a small group of Canadian media who observed a leg of the Race being run! More on that later; in the meantime, check out our interviews with the 10 teams competing this summer! You were nominated to participate in The Amazing Race Canada: Heroes Edition. Any reservations about taking part? Happy: None. We’re pumped. We made a video about what we did and how we got our call signs. So, should I ask how you got your call signs? Chewy: Sure! First of all, you don’t pick your call signs. This isn’t Top Gun. It almost always comes out of something you’ve done that is stupid or by mistake. Happy: And there is a process to it. You gather with all of your peers and there is a naming ceremony. Chewy: I broke my ankle playing hockey 15-20 years ago. I’ve already got a bit of a limp, a bit of a strut. And one day I was walking to the jet and I was wearing all of my survival gear, so my strut was even more pronounced as a result of that. Someone just said, off the cuff, ‘Man, you look like you’re walking like a Wookie.’ It was just one of those things. Happy: For me, there is a very handsome actor by the name of Adam Sandler that did this movie in the 90s. And with my hockey background and playing golf … when the whole Happy Gilmore thing came out, it instantly stuck. And, as a fighter pilot, I wanted an aggressive call sign. No, Happy. Do you think The Amazing Race Canada will be easier than some of the things you have done, seen and experienced as part of the Canadian Armed Forces? Chewy: It’s not going to be easy, no. I think we’ll be able to use the skills that we’ve learned over the years, especially being able to approach these challenges in a calm, cool, collected manner and methodically work through our options. I think we’re well-suited to handle some of the challenges. Happy: We’re the oldest team too. We’re almost 50 years old, but I think our life experience and our situational awareness will allow us to keep cool under pressure. Do either of you have a secret skill that you think might give you a leg up on the competition? Happy: We’ve never been asked that, but we’re just average Canadians. We’re normal dudes. We’re the dad. Our skill is just working the problem and strategize. Even if we’re the last team to check in and having difficulties we just have to stay the course. Will you team up with others if it means you succeed in a task? Chewy: We’ve agreed that, in the early stages, we’ll help other teams. And decision we make will be to benefit our game, obviously, but we’ll try to do it through fair play. The teams that did the best seemed to minimize their own errors and not worry about the other teams. Do you know you nominated you? Courtney: We assume our friends and family. Adam: Whoever it was, we’re super grateful. This is a Heroes Edition of The Amazing Race Canada. What do you think makes a hero? Courtney: There are so many different heroes. We’re so honoured to be on this season. We were going to apply before we found out what kind of season it was. Adam: It’s many-faceted. You can have your everyday heroes, someone who makes the smallest difference in somebody else’s life through just a smile or a word. That can mean the world to someone. Or it can be someone who puts themselves out there and sacrifices their own time or money or well-being for another person. The two of you interact with people, sometimes on the very worst days of their lives. How do you deal with that? Do you talk it through together? Courtney: We’re incredibly lucky to have each other in that sense. People who don’t have that type of job have a hard time relating to it. To keep in mind that you’re doing it to help somebody is a good way to keep your spirits up. You know you’re making a difference and you’re there at a time when someone needs you. Adam: Our department is really getting on board with the road to mental wellness. The cliché of the tough fireman who is immune to everything has kind of gone by the wayside. It’s more about your mental well-being and watching out for the other guy. And, at home, having somebody that I can talk to and relate to, joke with … talk about how something affected me … it takes a load off your shoulders. You deal with stress every day. Will that help you in The Amazing Race? Courtney: We perform well under pressure. I was like that in school. I was a procrastinator and would leave my papers until two days before they were due. I would stay up all night and get it done. It’s a totally different experience in the sense that there will be things that are super-scary. Adam: You never know what you’re going to get when you go in to work and it’s the same thing here. We’ll take whatever comes at us and be as ready as we can. Dylan: Someone who gives service to others as much as they humanly can. Kwame: I feel the same way. Everybody in the world can be a hero. It doesn’t matter how many people consider you a hero. As long as one person considers you a hero, you’re a hero. What did you do for your tape? Kwame: What we usually do. Me bugging him. Dylan: We told a couple of stories. Kwame: We did it at his house surrounded by his cats. Dylan: Don’t talk about my babies. Why will you two win? What will put you on the podium and not anyone else? Kwame: We have the drive that is very rare. Dylan and I firmly believe in a whole bigger cause. If it was just he and I, it would be easy for us to quit any challenge. But we know this is bigger than us. There is more to it. We’re not going to give up, and we’re going to make sure we win for the thousands of people who are supporting us. Dylan: This is our cause. This is what drives us. Anything that might slow you down? Dylan: Definitely math. We realized neither of us is very strong in that area [Laughs.] but I think we’re both good enough that we’ll get through. Kwame: We might need to create some kind of alliances along the way. In what circumstances would you work with other teams aside from math? 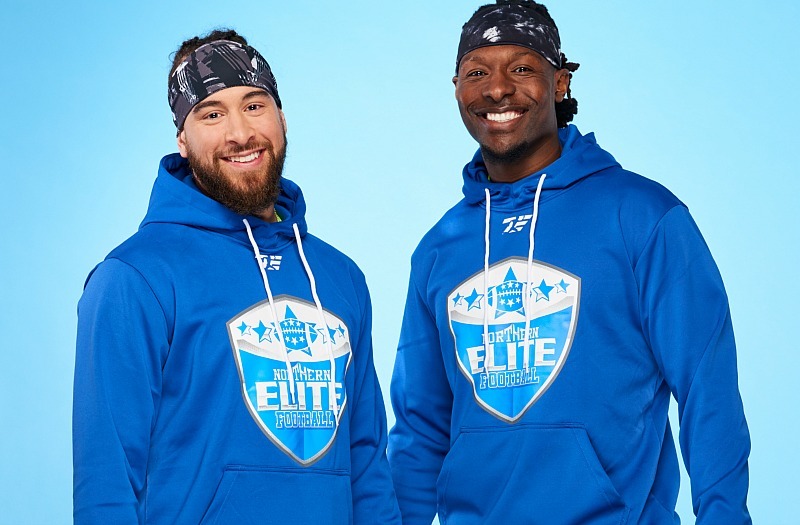 The Amazing Race Canada: Heroes Edition airs Tuesdays at 8 p.m. ET/9 p.m. MT on CTV.